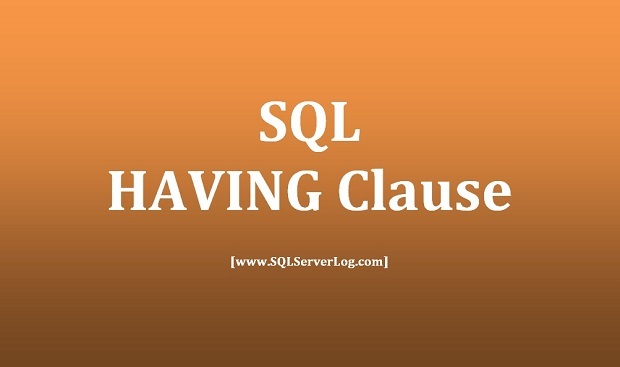 The HAVING clause allows us to specify conditions on the rows for each group in combination with the GROUP BY clause (see the GROUP BY clause), the HAVING clause is evaluated after rows are grouped. 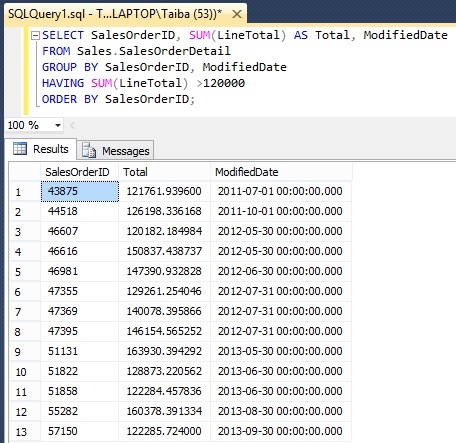 In below example we will display the total for each SalesOrderID from SalesOrderDetail table that exceeds sum of LineTotal by 120000 in the database AdventureWorks2014. 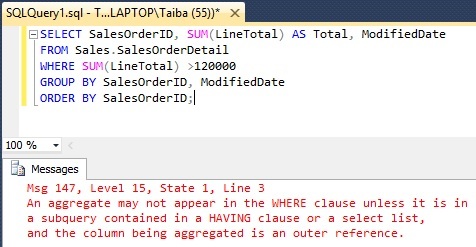 This query will cause an error, because the WHERE clause allows filtering row by row and not on group. That’s the result we want to have. The WHERE clause is evaluated before rows are grouped, and The HAVING clause is evaluated after rows are grouped. 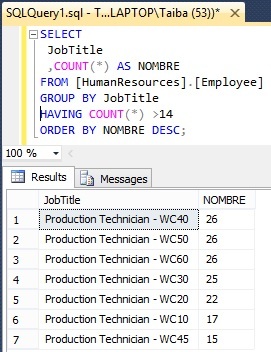 Here is another example with COUNT() function, we would like to see how many employees in each job title in descending order that exceeds 14 (see order by clause), the query is given below.